What do we believe, a man's statement to the police, on 26th May 2007, not 2008, or newspaper reports printed after he had been "visited"? REPLY: I suspect you would agree with me if I said: "A witness statement could be a tissue of lies from start to finish, while a newspaper report could be 100% accurate". Equally, it is possible that a witness is telling the God's honest truth, and a journalist or editor has got a story wrong. I think in all cases, and in this case especially, it is important to bring analysis to everything that has been done, said or written, by anyone. I have set out a veritable mass of contradictions in the Smiths' statements, which deal a severe blow to their collective credibility. 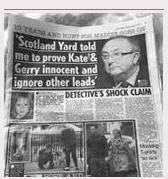 By contrast, the newspaper reports dated 3 and 4 January 2008 purport to quote directly from Martin Smith, don't they? IIRC at least one of the papers spoke directly to him. I am satisfied from all that I have seen that Martin Smith having 'met Murat several times' over 'many years' is accurate. In his statement to the PJ, Martin Smith says it was his son who had telephoned him and reminded them all about the encounter. Peter Smith had never been to Portugal before and Murat had been in England until two days before he went home, so it is quite unlikely that he knew Murat. He did know the son of the developer of the complex where his father had the apartment as he says he talked with him at Faro airport, so it could be possible that he knew of Murat from others mentioning him in conversation. This may be the reason why he called his father after Murat had been made an arquido. When the Irish policeman Hogan forwarded Martin Smith's statement to the PJ, about how he felt that it was Gerry McCann that he had seen in the street on the evening of the 3rd May 2007, he added a covering note where he told of the fact that Martin Smith did not court the media and had in fact legally challenged some of what they had written previously about his family, forcing them to retract and apologise. It would seem to me that Mr Smith had little time for newspaper reporters, yet you are telling us now that all that suddenly changed after his "visitations" and that the papers suddenly became his confidantes. Is it not more likely that the papers printed whatever they were told to print by others, it seems to me to be what they always do. I've no doubt in my mind that the news of Murat having been brought in for questioning was the catalyst for the Smiths remembering what they had seen. That does not mean that they "fabricated" any lies to help Murat. If that be true it makes you wonder why Martin Smith didn't legally challenge Richard D Hall, forcing him to retract and apologize - doesn't it? Now, unless you have any further alternatives to suggest, I would suggest that (B) is by far the most likely alternative. And I asked you where the information came from that MS changed the age of the man for the Find Madeleine website. Clearly there isn't any, only your belief that MS gave permission for the age of the man to be changed. That's your belief it's not evidence, so there is no contradiction and number 9 should be removed from your list. Merging two images does NOT produce ‘the same man’ as you suggest, and what Jon Tait has to say on the matter is irrelevant. I didn't quote anything that Jon Tait said, I referred only to the composite he provided. And yet, when a composite of the two images is made it's nearly impossible to see it's made up of two images because they are so alike. The evidence is there in the composite provided by Jon Tait. If that be true it makes you wonder why Martin Smith didn't legally challenge Richard D Hall, forcing him to retract and apologise - doesn't it? It is truly extraordinary how Martin Smith reacted to Richard's 'True Story'. 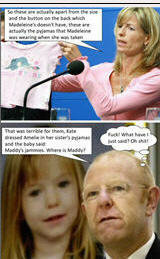 All sorts of things were said about him and his family - and of course about the Madeleine McCann case in general. He made one comment and made one request. His comment to Richard was that he found Richard's film 'interesting'. Well, quite! Richard reacted promptly by altering his vid to include Martin Smith's e-mail. They were drawn up by the Smiths, I believe an FOI request confirmed this? Yes, it was my FOI Act request. But despite the Met Police asserting that the two e-fits are allegedly of the same man, and were allegedly drawn up by the Smiths, I disbelieve them on both counts. You're entitled to disbelieve whatever you want to disbelieve, but the FOI request confirmed they were of the same man, and the composite provided by Jon Tait shows they are of the same man, so I would suggest that any assertion in future that they are of different men should be qualified with an IMO rather than stated as fact. Indeed the facts support that they are the same man. 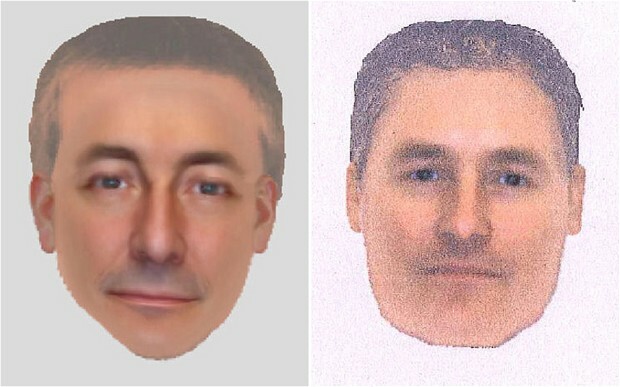 This, of course, is because the e-fits released by Op Grange look exactly like Gerry McCann”. Yes, except that this particular white male is the father of the missing child, and it's more than a passing resemblance. The many images on the Internet where people have placed the e-fit next to photos of GM show very clearly that it looks just like GM. Hardly surprising as they are not friends and have never been friends. Nothing suspicious about wanting an inaccuracy in a video correcting. Quite so! I think I briefly mentioned the one correction allegedly requested by Martin Smith in a separate post. 'Friends' being the operative word - of course that is not the same as saying he doesn't 'know' Murat. As an aside, in a relatively small community largely inhabited by ex-patriots, it's quite usual for everyone to know everyone, even if only as passing acquaintances. I believe Martin Smith and various elements of his family frequented PdL often enough to be included as part of the community. Naula... you state the above like you somehow know it's 100% fact? We know that she refused to go to Portugal to make a witness statement to the Portuguese Police. Please show me the evidence that Mary Smith refused to go to Portugal to make a witness statement. We actually have no knowledge of what earlier statement she did make, if any. There is no "if any" about it, Mary Smith made a statement that is not in the files. We don’t know if it was verbal, or written in her own handwriting, or signed at her home or a police station - we know nothing about it. But she made a statement nonetheless. The plain fact is that despite this being about a missing child and a possible abductor, she refused the Portuguese Police’s request to make a formal witness statement. No, she refused to make a further statement. Mary Smith refused to give a formal witness statement. That sentence should be removed from your OP because it is incorrect. I've already shown that the "contradictions" numbers 2, 4, 9 and 10 in the OP are not contradictions at all, and I will return to the "contradictions" again, but for the moment I'm going to address the supposed similarities between Sagresman and Smithman. MS (first statement): he was Caucasian, around 175 to 180m in height. He appeared to be about 35/40 years old. He had an average build, a bit on the thin side. His hair was short, in a basic male cut, brown in colour. He was wearing cream or beige-coloured cloth trousers in a classic cut. The individual did not appear to be a tourist. MS (second statement): He was average build, 5 foot 10' in height, brown hair cut short, aged 40 years approximately. Wearing beige trousers and darkish top maybe a jacket or blazer. He had a full head of hair with a tight cut. AS: Caucasian, light-skinned, between 20/30 years of age, of normal physical build, around 1,70/1,75 metres in height. She thinks that he had a clean-shaven face. His hair was thick-ish, light brown in colour, short at the back (normal) and a bit longer on the top. His trousers were smooth "rights" along the legs, beige in colour, cotton fabric, thicker than linen, possibly with buttons, and without any other decoration. PS: Caucasian, around 175 to 180 cm tall. About 35 years, or older. He was somewhat tanned as a result of sun exposure. Average build, in good shape. Short hair, brown in colour. This is Nuno Lourenco's description of Wojcek Krokowksi: Masculine, Caucasian with Latin colouring, curly dark brown hair that ran to his neck and in a pony tail. He was between 35/40 years of age, of medium complexion, and around 170 to 175 cm in height. He did not have any particular marks or signals and did not wear rings or other jewellery. He wore a cream coloured beach hat. He also wore dark glasses. He wore cloth trousers and a coat/jacket of the same material which was cream coloured. Almost the same colour to the hat he had worn previously. His shoes were dark brown: the type that need to be shined or polished. So what we have is two men of approximately the same height and age, one of them wearing beige-coloured cloth trousers and a dark jacket and the other wearing linen trousers of a colour not specified and a cream coloured jacket and cream beach hat. But here's the important thing, Wojcek Krokowksi is described as having "curly dark brown hair that ran to his neck and in a pony tail" whereas the man the Smiths saw had short hair, in fact specifically described as "short at the back". A significant difference between the two men, and certainly not the "near identical" description as has been claimed. There would be no chance of the man the Smiths saw with his "brown hair cut short" and specifically "short at the back" being able to tie his hair in a pony tail. Perhaps Wojcek Krokowksi was wearing a curly dark brown wig tied in a pony tail whilst in Portugal, to cover the "cut short" and "short at the back" hair? Martin Smith, as a father and grandfather several times over 'wasn't used to' the most frequently adopted position to carry a young child, as in the above photos. Sorry, pull the other one. Sorry if I wasn't clear, it was Martin Smith saying that about the man he saw, that the man he saw "did not hold the child in a comfortable position, suggesting [the carrying] not being habitual." In other words, Martin Smith was suggesting the man he saw might not be used to carrying a child in that way. Nuala agreed with Rob Royston and said: "I agree, of course they didn't [fabricate any lies]. They didn't even know Robert Murat. Martin Smith knew him by sight only". http://textusa.blogspot.pt/2014/04/speed.html So the sequence is this: Smithman crosses with Peter on Peter’s right, crosses the street so that when Martin becomes aware of him he’s in the middle of the road and then crosses Martin on Martin’s left. Nuala replied: "No, Martin Smith didn't say "he just put his head down", the Daily Mail said it. I don't accept what the press says, and the Daily Mail at that, as being a direct quote from the Smiths. Tony Bennett wrote: You misled forum members by missing out Peter Smith’s evidence (I hope it wasn’t deliberate). REPLY: Nuala did not contest that she had omitted my quote from Peter Smith. Nuala said that the reason Peter said he directly saw the girl's eyelids while Aoife insisted that the girl's face was completely hidden is because one saw the girl from in front of the man and the other from behind the man. Tony replied: "This is an INTERPRETATION you put on what happened which is NOT supported by actual evidence". Nuala replied: "I disagree. You have no evidence that AS did NOT pass on the opposite side of the man to MS and PS". Nuala referred to a composite e-fits: "The composite provided by Jon Tait shows they are of the same man"
Nuala wrote of Martin Smith and Robert Murat: "Hardly surprising as they are not friends and have never been friends. Nothing suspicious about wanting an inaccuracy in a video correcting". But tinkler replied: "Nuala... you state the above like you somehow know it's 100% fact?" Tony Bennett wrote: "We know that she refused to go to Portugal to make a witness statement to the Portuguese Police". Nuala asked: "Please show me the evidence that Mary Smith refused to go to Portugal to make a witness statement". I took an additional statement from Mr Smith as requested. His wife does not want to make another statement. Nuala referred to Martin Smith saying: "The man did not hold the child in a comfortable position, suggesting [the carrying] not being habitual". Nuala added her interpretation: "In other words, Martin Smith was suggesting the man he saw might not be used to carrying a child in that way". REPLY: The first point to be made is that if it is claimed that this man was Gerry McCann, why would he possibly 'not be sued to carrying a child that way'? He had probably had to do it dozens or even hundreds of times for his three children. The second point is that it is at least possible that Martin Smith said this as part of an overall fabrication - a handy bit of detail to generate the impression that this was the abductor. Nuala denied that there were 'many similarities' between Sagresman (Wojcek Krokowski) and Smithman. She said the descriptions of the man's hair were different. REPLY: I concede that there are differences in the descriptions of the man's hair. But the other similarities between the two are, I suggestm striking. And of course the description of Tannerman is almost identical too, to both of them. QUOTE>>> From information from Sagres, we learn that an individual has been surprised on Mareta beach taking photos of several children and in particular of a little girl aged 4, blonde with blue eyes, who looks like Madeleine. It was the little girl's father who noticed him. This 40 year-old man, wearing glasses, tells the investigators that the photographer tried to kidnap his daughter in the afternoon of April 26th in Sagres. It doesn't look from the debate so far that we are moving much closer. I'm sorry you feel that way, I thought we were doing rather well. Nuala agreed with Rob Royston and said: "I agree, of course they didn't [fabricate any lies]. They didn't even know Robert Murat. Martin Smith knew him by sight only". him by sight into them having "met" and MS knowing him for "many years" then you're free to do, so but I will stick to the facts. not ROBERT. He would have recognised him immediately." and are friends with them is frankly ridiculous. Please read my posts more carefully. I most certainly did contest that I omitted what Peter Smith said. put on what happened which is NOT supported by actual evidence". us that MS, PS and AS all saw the man from the same side and the same angle. I didn't decline to engage on the subject, I asked you for evidence that Martin Smith consented to the change being made. You declined to provide it. I can only assume that's because it doesn't exist. REPLY: This is most definitely an assertion that cannot be made from any two photos that are made into a composite. it is the same man. would sound like I am 100% sure of that. Show me the evidence that she refused to go to Portugal to make a witness statement. That is not a refusal to go to Portugal, it's a refusal to make another statement. carrying a child in that way". carrying a child that way'? He had probably had to do it dozens or even hundreds of times for his three children. Looking at the footage of GM carrying his child down the plane steps he doesn't look the least bit comfortable. generate the impression that this was the abductor. Sergeant Liam Hogan who said "my view his is a genuine person. He is known locally and is a very decent person." the man's hair were different. striking at all, and the men's hair is totally different. And of course the description of Tannerman is almost identical too, to both of them. Lourenco and the Smiths could not have been describing the same man. We agree that at some stage, probably between 16 and 26 May 2007, and probably to an Irish police officer, Mary Smith made what has been described as a ‘statement’. We have no idea whether it was oral, or in her handwriting, or written down by the police, whether or not it was signed by her, and whether or not it was any kind of formal witness statement signed as true. To put the next matter as neutrally as possible, Mrs Smith declined to go to Portugal with her husband, son and daughter to make a statement. In January 2008, a police officer, Liam Hogan, from the Detective Branch, Drogheda, County Lough, said in a report: “I took an additional statement from Mr Smith as requested. His wife does not want to make another statement”. You have very properly quoted Martin Smith’s police witness statement, where he says of his knowledge of Robert Murat: “Adds that in May and August of 2006, he saw ROBERT MURAT in Praia da Luz bars…He also states that the individual who carried the child was not ROBERT. He would have recognised him immediately”. You say that this statement should be treated as reliable and true unless there is anything to contradict it. You go further and state that this is a ‘fact’ and that, as you put it, “if you or the press choose to misrepresent Martin Smith having seen Murat a couple of times and therefore knowing him by sight into them having ‘met’ and Martin Smith knowing him for ‘many years’ then you're free to do. ‘Met him several times’ SKY News, 4 January 2008: “I told police it was definitely not him because the man wasn't as big as Murat - I think I would have recognised him because I'd met him several times previously”. 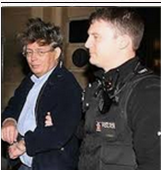 Irish Mail on Sunday, 10 August 2008: Significantly though he was able to tell Police that the man was not Robert Murat, as he had met him on a number of previous occasions. 3. Did Nuala leave out - when debating the contradictions about whether the man lowered his head or not - this quote from Peter Smith: “He did not try to hide his face nor did he lower his gaze”, when first replying to the OP? There is a simple answer to that: Yes. 4. Why did Aoife Smith say that the child’s face was completely hidden, yet Peter Smith said he could see that her eyelids were closed? I said it was an obvious contradiction. Nuala first claimed it could be because Aoife saw the man from in front, and Peter saw the man from behind. This time Nuala says: “The Smith family were spread out and saw the man at different times, at different points”. That is her evidence. On that basis, she says that the apparent contradiction is ‘explicable’. Nothing more to say. I concede that I cannot prove beyond a reasonable doubt that Martin Smith did agree to that change. 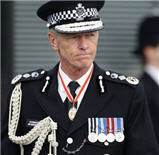 Neither, for that matter, can I prove that he consented at all to his evidence being put on the McCanns’ website. 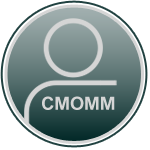 J. his e-fits becoming ‘the centre of our focus’ on the BBC Crimewatch McCann show, October 2013. It surely cannot be realistically denied that he consented to all of this? 6. Were Nuno Lourenco and the Smiths describing the same man? This is Nuala’s reply: “The description of Tannerman is similar to Wojcek Krokowski, I have no argument with that. But the description of Wojcek Krokowski is certainly not identical to the man seen by the Smiths. There are certainly similarities that could apply to thousands of men…Had they both been described as having a scar down their cheek, for example, then I would agree with you, that would be something that would be striking. But not similar age and build, that's not striking at all, and the men's hair is totally different. The important thing is that Wojcek Krokowski had hair long enough to tie into a pony tail and Smithman’s hair was cut short. So Nuno Lourenco and the Smiths could not have been describing the same man”. I have already conceded that the descriptions of the hair of the two men are different. You also make a fair point that if the build is similar and the age is in the same range, that doesn’t take us very far either. Although it must be said they are near-identical for all three men: Sagresman, Tannerman and Smithman. However, there are a number of very specific similarities between all three men. When given the description of Sagresman, Goncalo Amaral is told that he ‘doesn’t look like a tourist’. Jane tanner says: “By the way he was dressed, he gave her the impression that he was not a tourist, because he was very ‘warmly dressed’. And Martin Smith says the same: “He states that the individual did not appear to be a tourist. He cannot explain this further. It was simply his perception given the individual's clothing”. Smithman: “The man was wearing light-coloured trousers”. Aoife Smith says: “beige in colour, cotton fabric, thicker than linen…”. Martin Smith says: “He was wearing cream or beige-coloured cloth trousers in a classic cut… The man didn’t look like a tourist - I can’t explain why - it was probably from his clothes. 7. Are the two e-fits of the same man? Nuala said: “It is possible from any two photos made into a composite to deduce that they are the same man. It's an assertion that most definitely can be made. It's obvious from the composite [the one produced by Jon Tait) that it is the same man. I didn't engage on your eight differences [between the faces] that because the composite shows that your ‘differences’ aren't valid enough to be bothering with. The composite speaks for itself”. It is hard to argue with such iron certainty, so I will just have to repeat that Jon Tait’s composite proves no such thing. 8. Is Martin Smith a decent man? Nuala wrote: “We know him to be a decent man, as attested by Sergeant Liam Hogan who said: “My view his is a genuine person. He is known locally and is a very decent person”. I don't think that constantly accusing a decent man of lying is either appropriate or honourable. You have no evidence whatsoever that Martin Smith fabricated anything”. I concede that Liam Hogan’s opinion is evidence and he goes further by saying: ‘He is known locally and is a very decent person”. I have set out on several threads the evidence which to me suggests strongly that there is major reason to doubt the authenticity of the Smiths’ statements. Looks like a game of semantics is being played out here. I've been caught up in a similar situation when querying different aspects of the case in the past, it always comes down to quoting the PJ files as sacrosanct making no allowances for the many glaring inconsistencies and contradictions. It's not even as though the entire investigation files were released so it's ridiculous to claim that any single thing is conclusive just because it's in the files. A good example here, as you rightly point out Tony, is the mist shrouding the provenance of Mrs. Smith's witness statement. I suggest that some are very selective as to whom they are prepared to believe, the question is why? People that insist on sticking rigidly to the PJ translated files, word by word, conveniently overlook the fact (and this is a fact) that the 'official' (if they can be termed such) Tapas9 statements are also contained in the files but they are most certainly open to individual interpretation so why not any other? I have strong reservations about Jez Wilkins and his partner, I can't prove anything but I can evaluate available information about them and try to work it in with the overall picture. IMO every aspect of this case is fair game for scrutiny - the authorities put the case details out there so no one can be blamed for questioning anything and everything. Tony, the points you've raised about the Smith sighting and associated matters are valid, can't testify to total accuracy because I don't possess your tenacity but even if not 100%, it doesn't detract from the overall picture. I'm not entirely sure this relentless attack has any direct connection with trying to protect the Smiths good name, I feel it's more a case of trying to destroy your good name. I totally disagree but if your assertion be true, I must ask why you think the Met Police in association with Crimewatch, released two images of the person(s) of interest, as opposed to one composite image? To confuse the populace maybe? @Verdi wrote: Looks like a game of semantics is being played out here. Yes, I think it could well be called 'nit-picking'. That said, I have no problem with anybody drawing attention to what they say is in inaccuracy, however minor or major, although the tone in which any challenge is made is often indicative of what kind of agenda a poster may have. I'm going to say something controversial here, and not for the first time. I am informed that Nuala has been banned from the forum (not sure of the exact reason, but most of us can probably understand why). 3. AFAIK she has never been a member here before. C. To prove that the 'Last Photo' was taken exactly when the McCanns say it was taken. 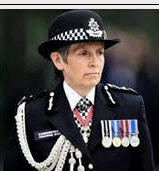 @Verdi wrote: [If the two e-fits were of the same man,] I must ask why you think the Met Police in association with Crimewatch released two images of the person(s) of interest, as opposed to one composite image? P.S. Complaints are made elsewhere that no-one is interested in Smithman and that I am obsessed about it. 1. DCI Redwood explicitly said two years ago that Smithman was 'now the centre of our focus'. That makes it a big subject of interest for me personally. If it is so important for him and Operation Grange, why exactly? Evidence suggests that the obsession lies at someone else's door. "Now the centre of our focus". Thanks, I said person(s) of interest, the wording here so important but I couldn't remember exactly. The centre of our focus - one man or two men or a composite of the two? @mad world wrote: Sounds to me like they've been heavily leaned on rather than dishonest. But again their testimony regardless has to be dismissed purely on the basis that it is useless. Either liars or menaced by the people covering up what happened. What reasons would members of the Smith family lie and make false statements.I cannot think of any.